Another one? DJ Khaled is teaming up with the same artists who helped make 'I'm the One' a number one hit worldwide. It's a 'No Brainer' that DJ Khaled's latest single is bound to end up at number one on the charts. The record producer has joined forces with Justin Bieber, Chance the Rapper, and Quavo again. The trio, along with rapper Lil Wayne, previously worked with Khaled on his hit single, 'I'm the One'. 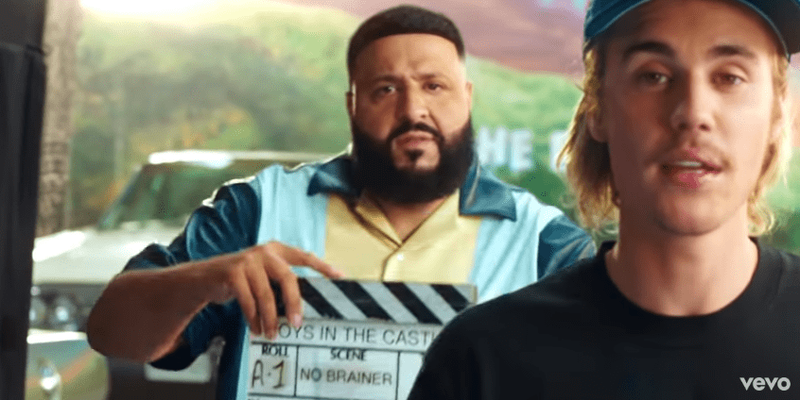 Khaled dropped the video for 'No Brainer' on Friday and it is still trending on YouTube. The Colin Tilley-directed video sees Khaled doing some directing of his own. He plays Justin Bieber's music video director. The DJ's 21-month-old son, Asahd, also plays "director" in the video. Watch the video for their latest single below. ALSO READ: Demi Lovato forgot lyrics to 'Sober' days before alleged overdose!